The influences of music in the 2000s has changed the music industry as a whole and boosted many artists up the charts. The 2000’s was an iconic time for music. Music was being shared within the new realms of social media, and the radio was thriving for one last decade. The music in this decade was more diverse than ever and expanded many different types of music to the mainstream audience. Let’s take a look at all the genres and artists that thrived during this unforgettable time period. Pop’s legacy grew significantly in this time period. While the ’90s had some great pop hits, the 2000’s took it to another level. Female artists started to take control of the industry. The difference between ’90s and 2000’s pop is that 2000’s pop created its own sound, which still defines pop to this day. The ’90s had more of a R&B sound that lacked variety, while the 2000’s created its own sub genres because of pop. Many notable artists came out of this pop era, especially female ones. Women like Beyoncé, Lady Gaga, Christina Aguilera, Kelly Clarkson, P!nk, Katy Perry, Rihanna, Ke$ha, and Shakira dominated the charts. Since starting off her solo career in the 2000’s, Beyoncé has released 6 studio and married Jay-Z in 2008. She has one child named Blue Ivy Carter. 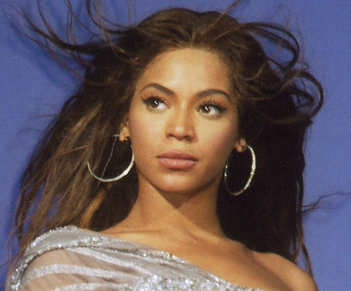 In the 2000s, Beyoncé broke off from the hit girl group Destiny’s Child and moved onto her own solo career. Beyoncé was truly an iconic woman in this era that cannot go unnoticed. Right from 2003, she released her first debut album Dangerously in Love, which included the hit song, “Crazy in Love”. This album boosted her solo career into stardom and left her with a more successful career than her sisters in her previous group. In 2008, Beyoncé released her most iconic album to date (sorry, it’s the truth), I Am.. Sasha Fierce. This album had 5 hit singles, some being “Single Ladies (Put a Ring on it)”, “Halo”, “If I Were a Boy”, and “Sweet Dreams”. I Am.. Sasha Fierce swept away 7 Grammy nominations and left an enormous impact on pop culture. In particular, her music video for “Single Ladies” was simplistic but yet created an iconic dance craze. The 2000’s was truly the decade of Bey. Both Gaga (left) and Rihanna (right) made party and club music, which appealed to a younger audience at that time. One of the most iconic albums of this era was Lady Gaga’s album The Fame Monster. The Fame Monster was a reissue of her album The Fame (2008) but with more songs added to it. This album managed to rise to #5 on the charts and spend 74 weeks there. This album featured many popular singles, including “Just Dance” and “Bad Romance“. However, this album isn’t the only thing that made Gaga an iconic woman of the 2000’s. Her stage presence and creative outfits are also what made her so well known. Gaga has still dominated the pop scene and most recently appeared in the movie, A Star is Born along with Bradley Cooper. iconic album that she released in this time period was Good Girl Gone Bad. This album peaked at #3 on the charts and stayed on the Billboard Top Albums for 98 weeks. With hit singles like “Umbrella” and “Disturbia”, Rihanna changed music forever. 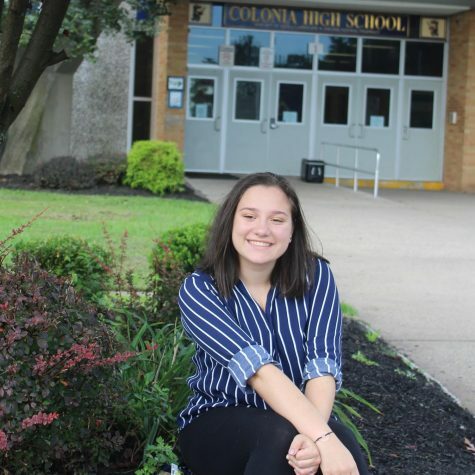 She was young and more relatable to teens at the time, she focused more on sexualism than personal connection and it appealed to many. To this day Rihanna is still a force in the industry and the release of her Fenty Line that focuses on including all women’s skin and body types. Some other notable songs of the decade are: “We Belong Together” by Mariah Carey, “Big Girls Don’t Cry” by Fergie, “Boom Boom Pow” by The Black Eyed Peas, and “Bleeding Love” by Leona Lewis. Among these hits, there were many others and these songs would change the realm of pop music forever. With the rise of “emo” culture came the rise of alternative music. There was lots of alternative music with different subgenres that stemmed in this decade. Subgenres like pop punk and punk rock created the “emo” style. Lots of loud chords and fast rhythms were what attracted many teenagers of the time period. Even though it rose, this style grew from 90’s grunge but it became louder, heavier, and more rebellious. The 2000s took it to a new level. The “Emo Trinity” were the most popular artists that led the “emo” era and contributed to their styles greatly. 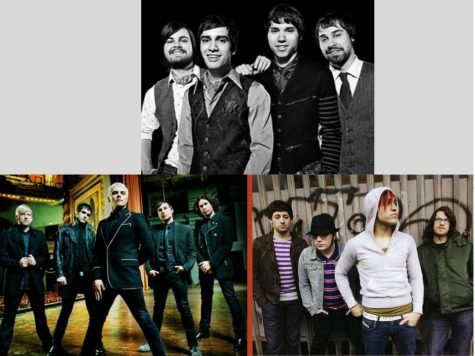 All of these bands still have a mass following today. Pictured: Panic! At the Disco (top), My Chemical Romance (bottom left), and Fall Out Boy (bottom right). Within the realms of emo music, a trinity was born. These consisted of the three bands Panic! At the Disco, Fall Out Boy, and My Chemical Romance. They became known as a Trinity simply because those who liked one of these bands tend to like the other two as well. While all three of these bands were famous in their own way, we truly feel that My Chemical Romance was the most iconic out of these three. My Chemical Romance originated in 2001 from Newark, New Jersey and disbanded in 2013. However, it was during the 00’s era that they were the most popular. This band is most known for their hit 2006 album, Welcome to the Black Parade. This album is a rock opera about a man dying of cancer. The album contained 4 hit songs, including “Teenagers” and the title track, “Welcome to the Black Parade”. When this band broke up, many fans were left heartbroken and wanting more. The fan base to this day is still active, which is why we consider this group to be one of the most iconic pieces of the 2000’s emo era. 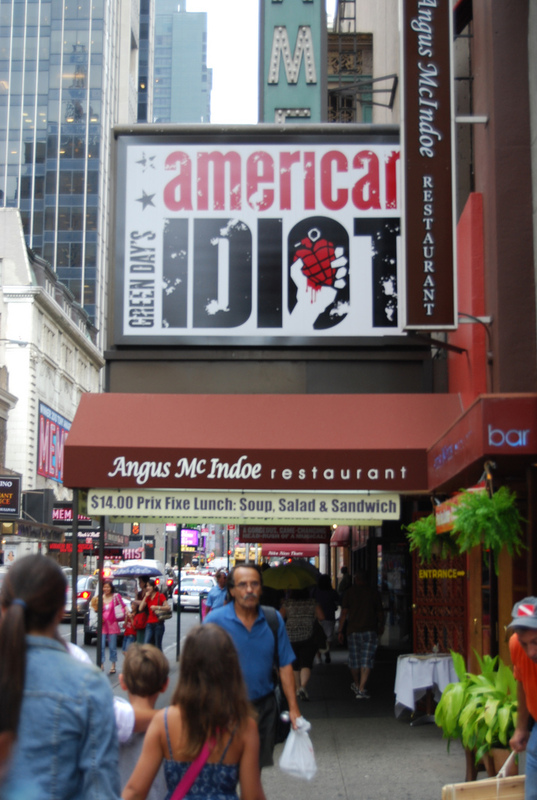 American Idiot was turned into a musical on Broadway in 2009. Green Day wasn’t new to the alternative/grunge/punk rock scene but they released their most iconic album, American Idiot in 2004. It was an album that targeted the government and the president at the time, George H.W. Bush and the political events and the war in Iraq. 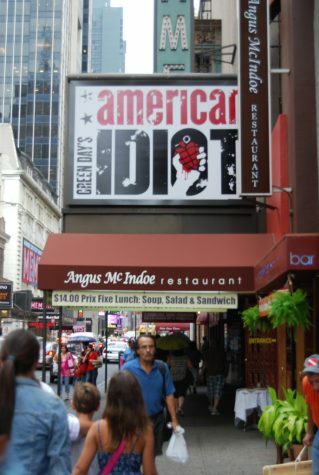 This was the time to make a stand and American Idiot pushed boundaries. 3 of the tracks hit the Billboard Top 100 and still stayed there. This album peaked at #1 in 2004 and stayed for 3 weeks at the top and 120 weeks in general on the Billboard Top 100. and recently has come back into the top rock charts. The famous band Paramore formed during this era in 2004. Paramore is considered to be an alternative rock band with the iconic lead singer Hayley Williams bringing an edgy voice to their music. This band was popular throughout the years but really took off in 2007 with their second album Riot!. Riot! had four lead singles, including “Misery Business” and “That’s What You Get”. This whole album manages to explore different genres of music while keeping an edgier sound. Riot! became triple platinum and is Paramore’s best work to date. Paramore thrived in the 2000s but still remain popular today. There was a lot of other bands that also dominated the scene with their top hits that are still played on the radio today. You’ve probably heard some of these iconic songs including “Bring Me To Life” by Evanescence, “All The Small Things” by Blink 182, “Uprising” by Muse, “Kryptonite” by 3 Doors Down, and “Numb” by Linkin Park. Alternative music created a huge mainstream following during this era, which is one of the many reasons why this was such a great decade for music. R&B music was truly at its height in the 2000s. R&B stands for rhythm and blues, which focuses on music with soulful factors and slow melodies. This genre started to become infused with rap and pop in the ’90s and continued to do so in the 2000s. A lot of rappers and pop stars include R&B elements in their music, but there is a collection of artists who focus on solely R&B music. One of the greatest artists of all time, Amy Winehouse, was a gem during this era. Winehouse was an English singer who became successful throughout the entire world. First, she released her debut album entitled Frank in 2003. This album contained many jazz elements and became a highly acclaimed record. However, her most successful work came out in 2006. Her album Back to Black was even more acclaimed and considered a work of art. Some of the iconic songs from this album included “Rehab“, “Love is a Losing Game” and the title track. This album ended up being United Kingdom’s best selling album in the 21st century. Unfortunately, Winehouse was not around for much longer to make more beautiful music. She had an ongoing drinking problem and was often seen performing intoxicated on stage. In 2011, Winehouse tragically passed away due to alcohol poisoning. However, her legacy will live on forever. Another big artist was Alicia Keys. Her album Songs in A Minor was a breakthrough for her career. This album debuted at number one on the Billboard 200. Some of her hit singles off this album include: “Fallin’”, “A Woman’s Worth”, “Rock wit U” and “Girlfriend”. Keys also after that released two other albums: The Diary of Alicia Keys and Unplugged. She had a different sound than other R&B artists of the time period. 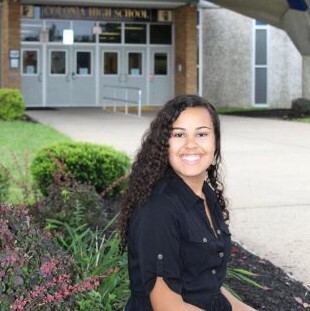 She was very diverse by having some songs with fast driven beats and others with a slower rhythm and tune. Keys had changed the sound of R&B and added many pop elements into it. Ne-Yo also added something new to the table with his music. His music is primarily R&B, but he infused electronic/EDM styles into his music. He had hits like “So Sick”, “Closer”, “Because of You”, and “Let Me Love You”. His first single “Stay”, released in 2005 was what brought his name into the lights and after the release of his debut album, In My Own Words (2006), he rose the charts. His double platinum-selling album, Because of You, released in 2007 debuted on the Billboard Hot 200. It remains on the top of the R&B/Hip-Hop Albums. Some other popular R&B songs of the time are: “All for You” by Janet Jackson, “Low” by Flo-Rida, “Ms. Jackson” by OutKast, and “Try Again” by Aaliyah featuring Timbaland. R&B music also went through a big change in this time period as it became infused with more pop elements and EDM elements as well. R&B would continue to dominate the industry and rise even more because it’s so popular up to the present day. With this genre, we have to admit that rap was unfortunately not the best during the era of the 2000s. The ’90s is and always will be the greatest time for rap music to be alive. However, there were plenty of rap artists that came out with amazing music during this time. Some of the rappers that were successful in the 2000’s decade include Eminem, Jay Z, Lil Wayne, Nelly, Kanye West, TI, Ludacris, and 50 Cent. 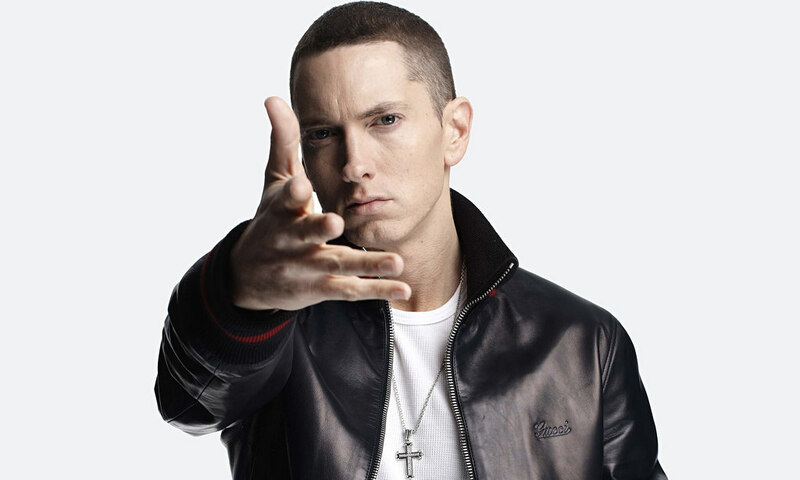 The 2000s brought the world one of the most successful rappers of all time, Eminem. He is the best selling artist of the decade and has also had 9 number one singles on the charts. Eminem has a long discography, but his release of the Marshall Mathers LP in 2000 was one of his most iconic and best-selling albums of all time. This album had five hit singles including “Stan” and the infamous “The Real Slim Shady”. After massive success in the 1990’s, he released this album. Some of this music was controversial because of some homophobic lyrics found in his song “Criminal.” However, he later apologized for this and performed with iconic gay singer Elton John on stage during an award show. In 2002, Eminem released the hit, “Lose Yourself” for the movie 8 Mile, which is one of his most popular songs to date. Throughout the 2000s, he has released many more hits such as “Not Afraid”, “Love the Way You Lie” (featuring Rihanna), and “Without Me”. Eminem is truly an iconic artist who is still making successful music. 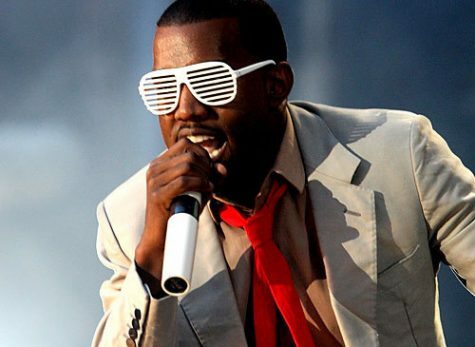 Another iconic rapper to come out of this era is the infamous Kanye West. West rose to stardom when he released his debut album in 2004 The College Dropout. This album was a massive commercial success and is one of his best works to date. 5 lead singles came from this album, including “Through the Wire”, “All Falls Down” and “Jesus Walks”. “Through the Wire” in particular is an iconic song because West recorded this song when his jaw was wired shut after getting in a nearly fatal car accident. He continued to release hit singles including “Gold Digger” and “Stronger”. West became more successful because of the controversies he became involved in. West is famous for events such as saying during a benefit concert that George Bush doesn’t care about black people. However, his most iconic moment during this era was during the 2009 Video Music Awards. When Taylor Swift was accepting an award for the best music video of that year, West jumped on the stage and said that Beyonce’s music video should’ve won instead. Despite all of these incidents, West is still a very popular rapper to date and has gone on to create many more great pieces of music. Some notable rap songs that were released in the 2000’s include “It Wasn’t Me” by Shaggy, “Get Low” by Lil Jon & the East Side Boyz featuring Ying Yang Twins, “Candy Shop” by 50 Cent featuring Olivia, “Crank That (Soulja Boy)” by Soulja Boy, and “Best I Ever Had” by Drake. A lot of important pieces of rap music existed during this era and cannot go unforgotten.